The Pointe features 57 one- and two-bedroom condominium residences priced from the $300,000s. The homes range in size from 962 to 1,255 square feet of living space and feature hardwood floors, top-of-the-line stainless steel kitchen appliances, sumptuous baths with high-end stone and ceramic tile, a full-size washer and dryer and abundant closet space. Each home also offers private outdoor space, while the building features an expansive common landscaped terrace – all of which maximize the spectacular views of the Manhattan skyline and Hudson Bay. The modern, six-story brick building also features an elegant attended lobby, stylishly designed with marble flooring, artistic stone borders, and custom wall coverings, as well as available onsite garage parking. Immediate occupancy is available. 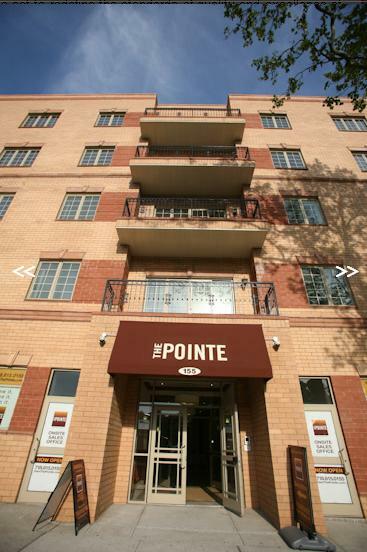 For more information on The Pointe, visit www.OwnThePointe.com, or call 718-815-0155. About Meadow Partners With over 40 years of combined real estate experience, Meadow Partners brings the assurance of a reliable, well-funded ownership team that is firmly committed to the development and success of The Pointe and the redevelopment of the Staten Island waterfront. Their demonstrated talent, long-range perspective, and financial strength has set to redefine the standards of quality and excellence of North Shore living.